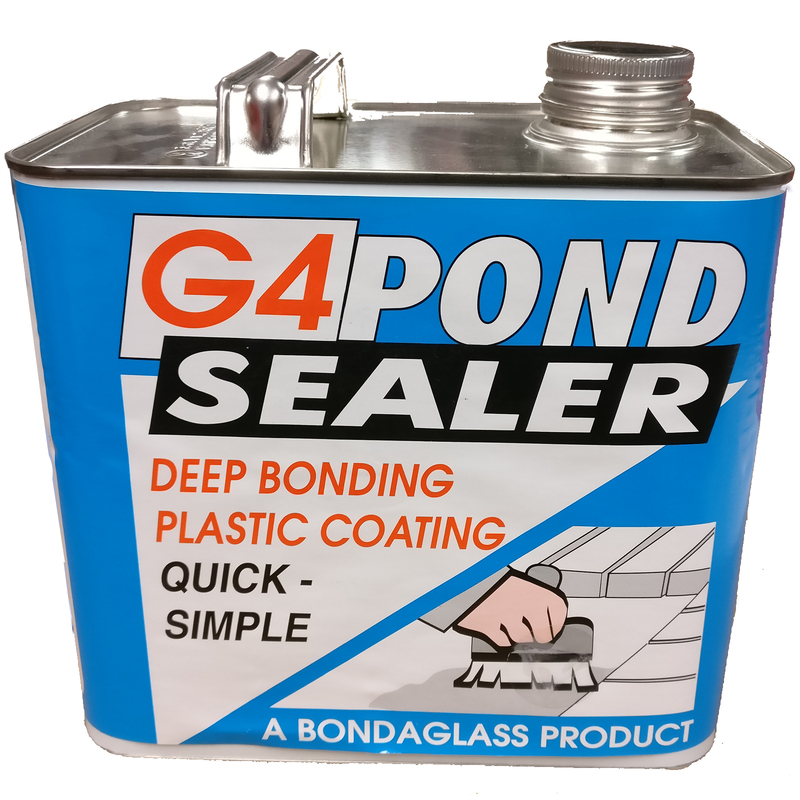 G4 pond sealer is applied to concrete ponds to prevent water from penetrating the concrete. It is also used in Fibreglass Roofing as a damp proof barrier before any fibreglass lamination is applied. A must have for damp-proofing and a highly recommended product. G4 sealer is a moisture curing polyurethane liquid that forms a non-porous coating on concrete, brick or porous stone. G4 utilizes the moisture in the air and substrate as a catalyst to cure and harden. We recommend 1 layer of G4 as a primer on concrete and brick to promote adhesion between the Fibreglass lining and the concrete surface. Application rate is 250gm/m2.